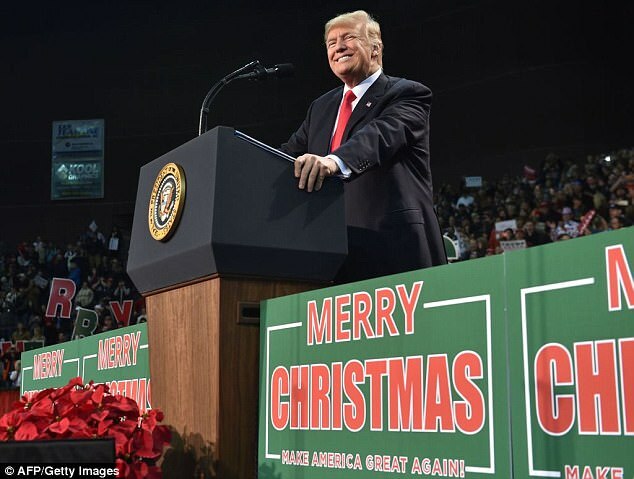 There's no mistaking President Donald Trump's 'Merry Christmas' message - he wields it as a weapon against political correctness. For weeks, he's been liberally sprinkling his public remarks with Christmas tidings. And then pointing it out in case anyone fails to notice. 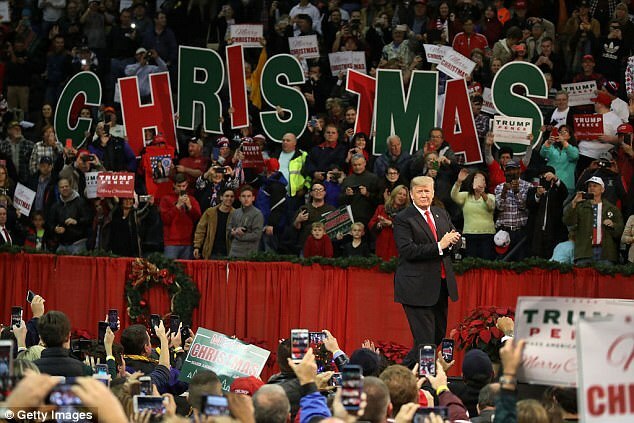 Trump has long promised that this year would be different after what he saw as a trend toward giving the Christian celebration short shrift in favor of a more generic and inclusive 'happy holidays' message. 'Well, guess what? 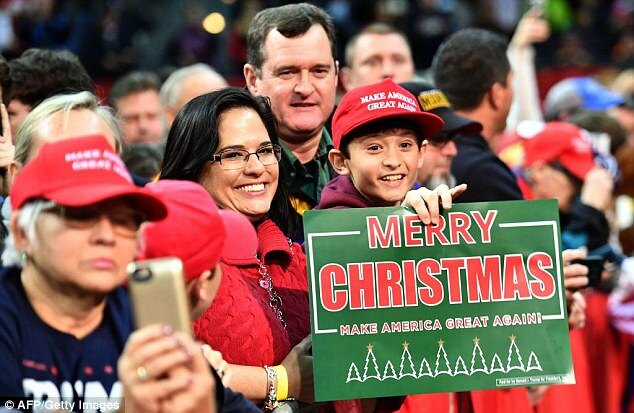 We're saying 'Merry Christmas' again,' Trump announced in October at a Values Voter Summit of conservatives. For all of that, though, it turns out the 2017 holiday rhythms at the White House are similar to those of years past. 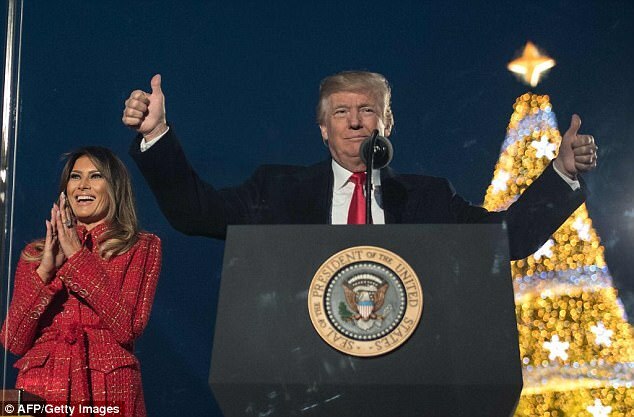 The president participated in the annual lighting of the National Christmas Tree. 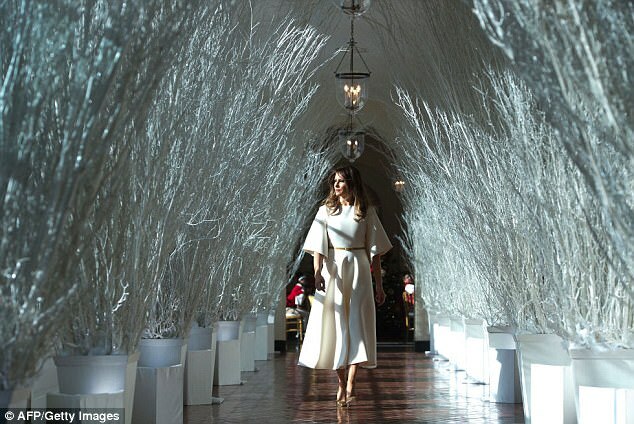 The house has been decked out for the season with an array of traditional trimmings, including the longstanding crèche in the East Room. There has been a whirlwind of parties - roughly 20 receptions and more than 100 open houses, including a reception to mark Hanukkah. 'It is as beautiful as it has always has been. It is as special as it always has been,' said Anita McBride, who served as first lady Laura Bush's chief of staff. The White House holidays under Barack and Michelle Obama also included plenty of Christmas trappings and cheer. Obama offered a more general holiday message on the official greeting card, but wished 'Merry Christmas' at the National Tree lighting, on his Twitter account and in his weekly address. 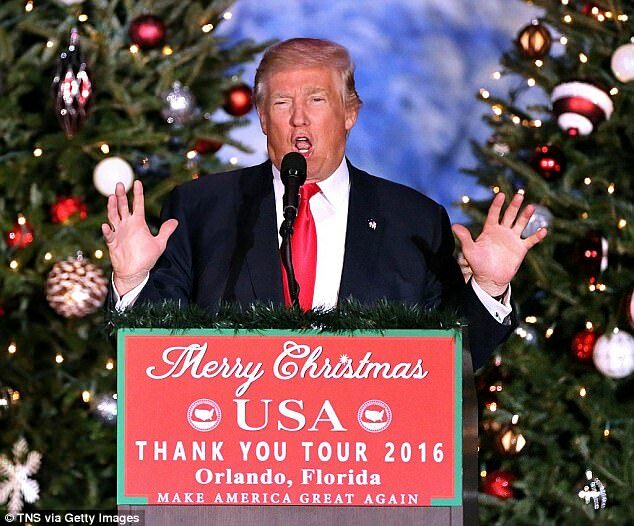 Trump has expressed concern about a diminished 'Merry Christmas' message for years. Presidents George W. Bush and Bill Clinton also offered greetings marking Kwanza, the weeklong African heritage festivities in December. The White House said Trump will also have a statement on Kwanza. But his predecessor also made remarks grounded in Christian traditions. Trump's emphasis on Christmas has been welcomed by evangelical Christians who see it as evidence of his commitment to religious liberty. Jeffress, who attended holiday events at the White House this year, said Trump's Christmas comments were one of many moves supported by evangelical Christians, who have cheered as Trump appointed conservative judges, sought to weaken rules governing political activity by religious groups that received tax exemptions, and declared Jerusalem the capital of Israel. 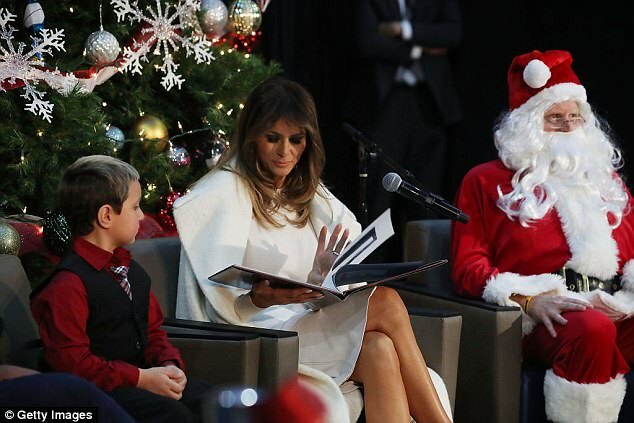 'I believe a lot of Christians see his willingness to say Merry Christmas as the proxy for religious liberty,' Jeffress said. 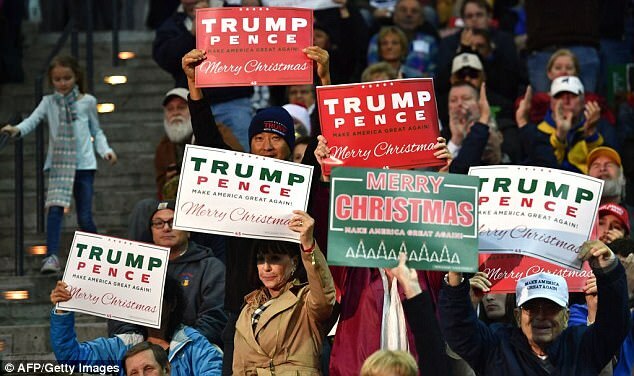 ut critics say Trump is using Christmas as a cudgel in cultural warfare. 'This is like kneeling during the national anthem,' said Dan Cassino, a political science professor at Fairleigh Dickinson University. Cassino, who has polled and written on the issue, said there's no real downside for Trump in keeping up the Christmas talk.